In 2005, Optometry Cares Foundation of the American Optometric Association (AOA) and The Vision Care Institute of Johnson & Johnson Vision Care, Inc., launched the InfantSEE® program. InfantSEE® is a no-cost public health program developed to provide comprehensive, professional eye care for all infants nationwide. When a doctor signs up for the InfantSEE® program, they agree to examine all infants (1 year old and under) that present to their office for one initial comprehensive evaluation at no charge. After the initial evaluation, any follow up or treatment that is required is to be covered by the patient. Visual development is dramatic between 6 and 12 months of age and is critical for a child’s normal overall development. Although most babies will develop normally if left alone, early detection and treatment of potential eye and vision problems can be key in setting the baby on the right track for development further in life. If things like amblyopia, strabismus, anisometropia, high refractive error, and ocular disease are left undetected and untreated, they can lead to difficulties in development, school, social interaction, and potential permanent vision loss. Assessments conducted in 2006 and 2007 by the InfantSEE® program show an overall increase in vision concern for infants (0 – 12 months old). The finding of a positive risk factor, meaning the child had changes happening with their eyes or vision which required careful follow up or treatment, increased from one in fourteen in 2005 to one in nine in 2007. In 2009, InfantSEE® received a grant, administered through the Centers for Disease Control and Prevention (CDC Grant 1H75DD000472-01) to increase awareness of the InfantSEE® program. The findings from the InfantSEE® Weeks program showed a higher than expected number of infants with undiagnosed and untreated vision and eye health problems. Of the 1051 children seen through the grant in 2009, 536 were female, 515 were male, 13.7% were premature, 26.6% were non-caucasian, and 33% had public or no insurance. Of the 1,051 exams, 180 exams demonstrated a cause for concern (one in six) meaning the infant required careful follow up or required treatment. If the child was premature, a minority, or if the family income was below $25,000, the risk went up to one out of every four. A statistical analysis of 114 infant patients seen at the State University of New York College of Optometry from 2005-2007 shows that 26% of infants which presented for a routine evaluation with no concerns noted by the parent had a positive ocular or visual risk factor that required immediate intervention or frequent monitoring. The InfantSEE® exam offers a comprehensive evaluation and early detection of potential eye and vision problems. The exam includes a detailed case history and assessment of an infant’s oculomotor function, binocular function, refraction, visual acuity and ocular health status to the fullest extent possible. Although infants cannot respond verbally, the above mentioned functions are well on their way in development and the first year of life is an ideal time to conduct an extensive eye assessment, depending heavily on objective findings. The AOA recommends infants be seen between 6 and 12 months for their first visit. Not only is this a critical time for eye and vision development, but generally children at this age do not yet fear doctor visits and find the assessment painless and often enjoyable. Before taking your infant to their exam, make sure the baby is well fed, changed, and is well rested. Try to avoid having other siblings in the room and consider bringing snacks or a couple of the baby’s favorite toys to use as distractions, if needed. The InfantSEE® website offers a video of an InfantSEE® exam being performed as well as various downloadable resources. Visit Infantsee.org to check out the parent’s section. “New AOA Report Reveals High Number of Infants with Untreated Eye and Vision Problems.” InfantSEE. American Optometric Association. Web: 14, Apr. 2014. Chung I, Duan J, Mozlin R. A report on the eye and vision problems of patients under the age of 1 year in an academic-based urban clinic. 38th Annual College of Optometrists in Visual Development Conference; 2008 Oct 14-18; Palm Springs, CA. “Causes for Concern Guidelines.” InfantSEE. 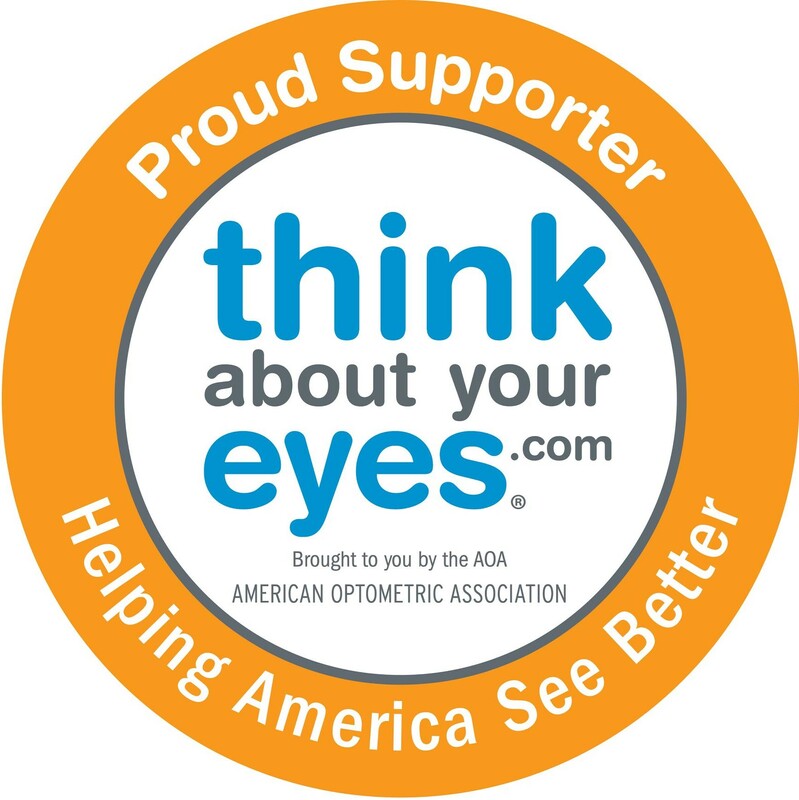 American Optometric Association. Web: 14, Apr. 2014.